Legal matters are always serious. If you require legal services, there is 1 place to turn to. Visit the law office of Darrell K. Brown P.A., in Goldsboro, North Carolina. We are here for you. Darrell K. Brown P.A. deals with custody hearings, child support, property division and alimony cases. A consultation fee is required before the case is actually retained. After the details of the case are discussed, we will then determine the cost to take the case further. 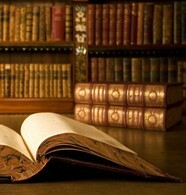 We deal with employment cases, contract law and collection cases. If a client owns a business and has contract disputes or employee issues, we can handle those types of cases as well. Make sure the law is on your side. At Darrell K. Brown P.A. we deal with clients that are wronged or owed money and are seeking to address this matters in court. We work on getting you the justice you deserve. While we do some criminal cases, Darrell K. Brown P.A. regularly provides representation in domestic violence cases. If you've been accused of committing domestic violence or are a victim of violence, contact us today. A consultation fee may be required prior to discussing the needs and the costs of handling the entire case. If you have been charged with a misdemeanor criminal offense or a traffic matter including speeding tickets, then contact us for a quote today. Contact us for more information on family law attorney services.